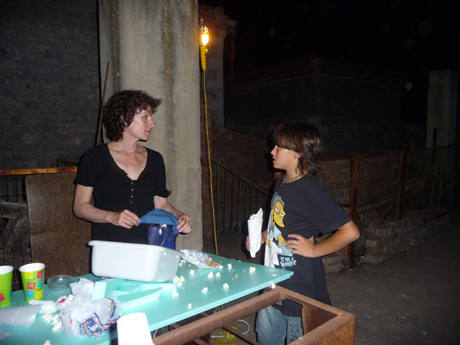 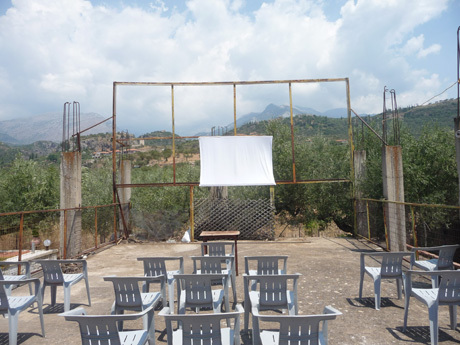 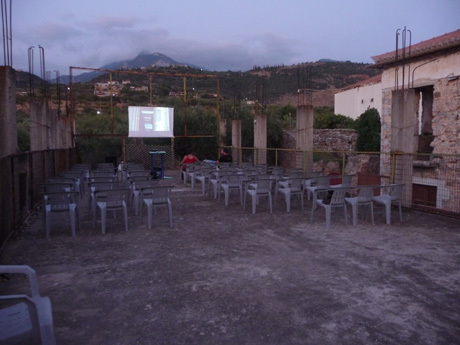 During the artist residency (28 July-7 August 2010) called “Legitimate Possession”, in the small village of Kardamili, in Mani, Errands transformed the abandoned roof of the building of the residency into an improvised open air cinema. 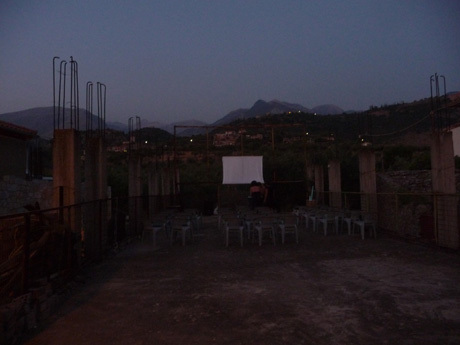 The building used to be an old pastry shop and for a short period, in the 80s, its roof was running as an open air cinema, in parallel with the pastry shop. 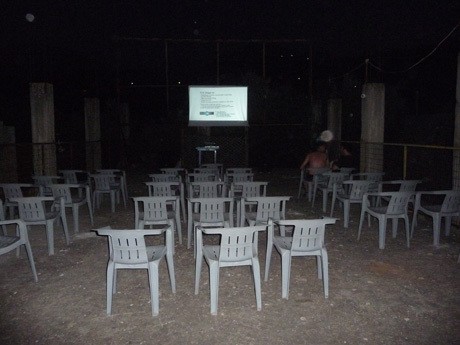 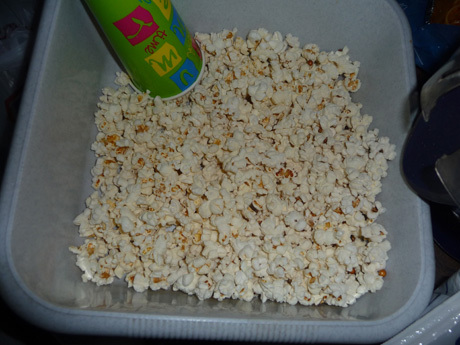 Errands re-created the cinema in an improvised way by cleaning the roof, installing a big sheet as a screen, using plastic chairs, a projector, a laptop, two loudspeakers and an in-home hot-air popcorn maker. 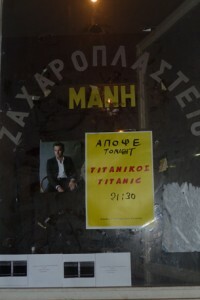 No object was bought. 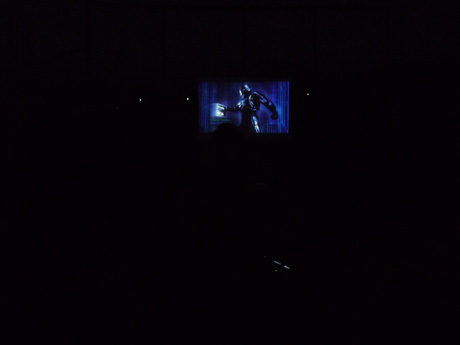 We used only things we already had, found or borrowed. 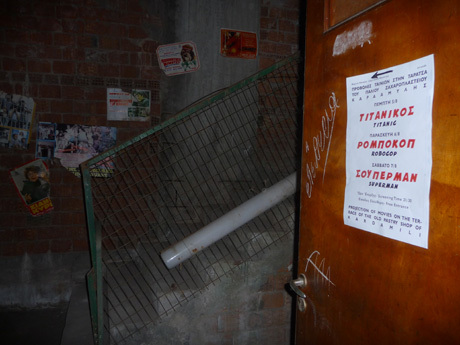 The movie screenings were announced with posters, that were put up all over the area. 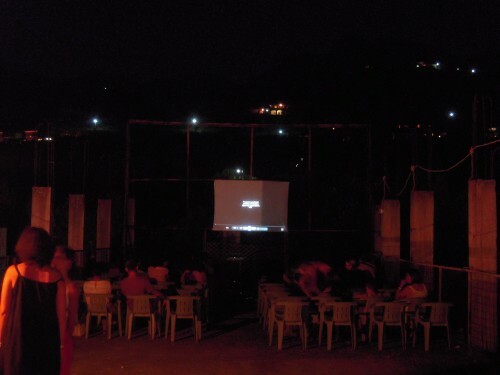 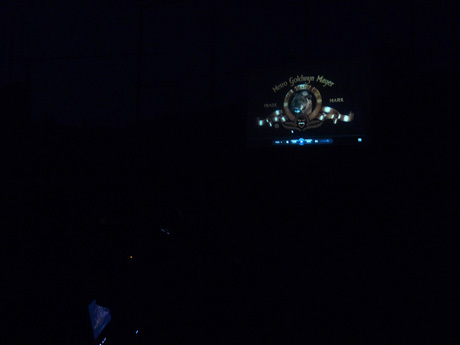 The cinema became the main entertainment of the village.